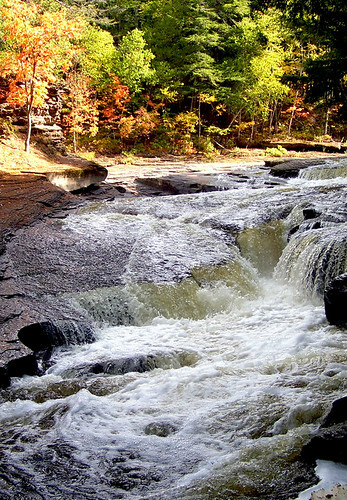 Presque Isle River and Falls | ¿Qué Onda Guero? 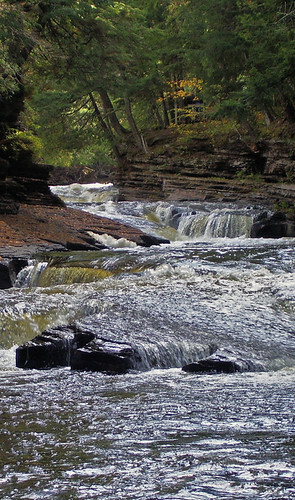 On Thursday we hiked part of the Presque Isle river trail, which has some mighty fine lookin’ waterfalls. The river has many twists and turns, which made for some great adventuring as I excitedly anticipated what might be around the next bend. 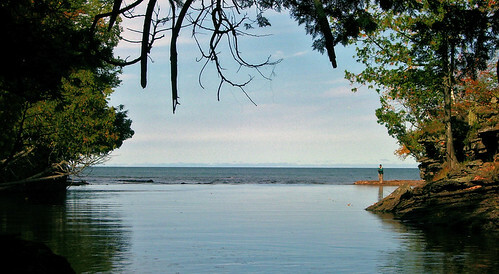 A view from the mouth of the river as it empties into Lake Superior. 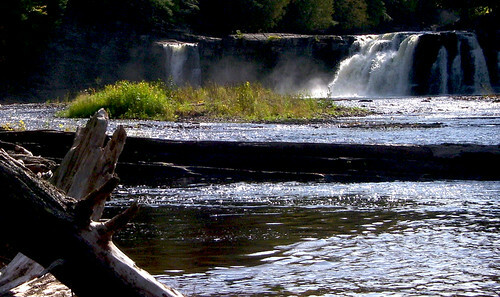 The riverbanks are lined with mature hemlocks, white pines and maples. The prize for me was getting right up there, nose-to-nose, with the rushing falls. This entry was posted on Wednesday, October 7th, 2009 at 1:12 pm	and posted in Uncategorized. You can follow any responses to this entry through the RSS 2.0 feed.